Need help figuring out the length of your balloon arch or the average balloon float time when using a 60/40 Inflator? You’ll find it here! Looking for an air inflator? What is the difference? Which is the right one for me? Doesn’t an air inflator just inflate balloons? Well, yes it does. However, just as there are many types and sizes of balloons, used for many different purposes, it stands to reason there would also be a range of inflators as well. Air inflators have a variety of specific purposes such as those for the Street Entertainer who will use it to inflate ‘entertainer’ balloons, through to the Balloon Decorator who might need a precision sizing inflator to create accurate, stunning balloon decor. Let’s take a look at what inflators are available and what their suggested use is. I suppose we should really begin with the basic hand pump; even here there are options. There is the two-way 160 hand pump, designed to inflate the smallest of entertainer balloons, the two-way hand pump for inflating 260s, through to the ‘single stroke’ floor standing pump, designed to inflate a 260 with a single downward stroke. These are all manually operated and great for street entertainers and those inflating small numbers of entertainer balloons. Now, we take the first step up to the electric inflators. Again, we start with the basic models of which there are many, but like so many things, there is a vast difference in the quality and reliability. So we would naturally recommend that you select a brand that you know and can trust. Conwin’s Air Pro is a basic model electric air inflator with a single nozzle outlet and can inflate one balloon at a time. With the most powerful motor on the market, it can inflate all sizes of foils, round and non-round balloons by use of the narrow extension tip. Whilst all motors will heat up during use, the Air Pro motor only operates during the inflation process, reducing the build up of heat. The next step takes us to electric air inflators capable of inflating multiple balloons at the same time. This type of machine is excellent for inflation of large numbers of balloons where accurate sizing is non-essential, whilst allowing more than one user to inflate. Conwin’s Air Force 4 is one such inflator. With 4 separate outlets it is capable of inflating up to 4 balloons at the same time, by using either the foot pedal or continual ‘ON’ mode. The Large Balloon Inflation Hose allows for rapid inflation of 16” and larger balloons in a third of the time and the optional Insider Balloon Stuffing Tool Kit for the Air Force 4 enables you to make stunning gumball décor and inflate foils at a slower speed. Finally we reach the top of the range and step up to precision sizing inflators such as Conwin’s Precision Air Inflator. When precise and accurate inflation of balloons is required this really is the ultimate machine. With the ability to count and accurately size two balloons simultaneously and deliver consistent sizing, time after time, this really is a dream machine for professional decorators. Doing away with the need for time-consuming and cumbersome sizing templates, any professional balloon decorator will have one of these on their wish list. Now that you have the basic knowledge on what air inflators are available and the differences between them, it’s up to you to decide which air inflator works best for you and your business! For more information on Electric Air Inflators contact experts@conwinonline.com. 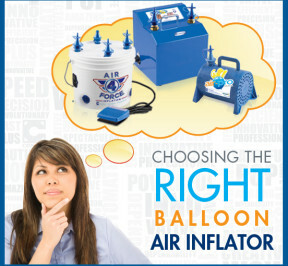 We will assist you in choosing the right inflator for your business! Since the inception of the balloon industry, many international decorators have felt the crunch of high helium prices or limited access to helium. Faced with this obstacle they have proven that air-filled balloon décor is the answer to making their businesses thrive. 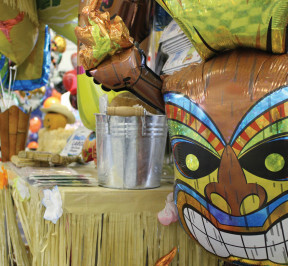 They have not only demonstrated that air-filled décor can be easily substituted for many classic helium-filled balloon décor designs, but also that air-filled décor is more efficient and profitable. Q: What Are The Benefits of Air-Filled Décor? A: One of the great benefits to air-filled decor is that it lasts between 1 to 4 weeks depending on environmental conditions. 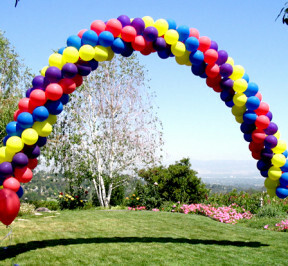 You have no heavy cylinders to transport and air- filled décor can be inflated days prior to an event. Not to mention you save money with no helium. Q: How Can I Incorporate More Air-Filled Décor In My Business? A: Start by reviewing your most popular helium arrangements offered and determine how to convert them to air. Also, change your focus on suggesting helium-filled décor to air-filled décor when recommending designs for your customers. Tip: To replace the lift of helium, incorporate base plates, conduit poles, aluminum rod as a core structure or bases for air-filled designs. Q: How do I inflate my balloons with air? A: Conwin’s full line of air inflators give you the ability to inflate balloons either manually or with automatic sizing. Click here to check out Conwin’s Air Inflators. Q: What is Nitrogen gas and how can I use it? 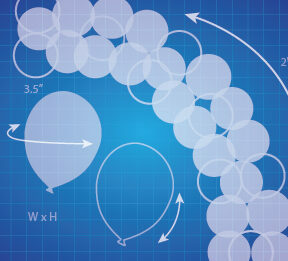 A: Nitrogen (like air) is what balloon decorators use to inflate balloon décor that is not intended to float. Nitrogen is an inert gas (non-flammable, non-explosive and non-toxic) and is available in cylinders from balloon distributors and gas companies. It’s much less expensive than helium and is a great alternative to air to use with your basic and automatic balloon inflators. Q: What is a 60/40 Inflator & How Does it Work? A: Conwin’s 60/40 inflators mix 60% helium with 40% air, saving you 40% on your helium costs. These inflators work by the helium passing upward through the filling outlet and drawing in air through the air intake ports on either side of the outlet. When you use Conwin’s 60/40 Inflators you’re able to inflate 40% more balloons from any cylinder! Have you ever gotten yourself into a sticky situation trying to keep balloons together? It can be tricky choosing the right adhesive for the job at hand. I’ve spoken with some other balloon professionals in our industry and discovered that we all have favorite adhesives for specific jobs, but tend to favor one over all the others. Consequently, we have developed techniques that we use in many different circumstances. I would like to share a performance chart with you that can be copied and used in your shop for referral when you need it. I’ve listed the many types of adhesives and their advantages, disadvantages and sources. Following are suggestions of appropriate adhesives for specific tasks. Pan Glue: Floral effects, picks, gluing Lomey and other containers, foil sculptures. 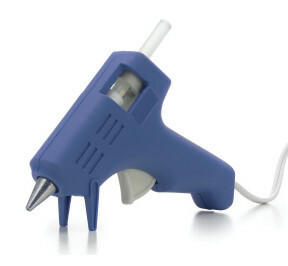 Hot Glue Gun: Strong performance in small placement (bows and other accessories that need to be held tight.) Low Temp Glue Gun, Glue Dots, Rubber Cement, Tapes: Attaching latex and foil balloons together or to other products, latex sculptures. Clear Packing Tape, Backless Tape Gun, 3M Hangers: Attaching balloons to a wall surface without damage. Super Hi Float, Spray Glues: Confetti type products in or on balloons, fabric coverings. Finally, don’t be afraid to be adventurous, but always remember to try new adhesives in the privacy of your workroom rather than on the job, or you may find yourself stuck in the middle of a very sticky situation. One of the earliest methods I can recall was to use a small section of drain pipe, which required you to stretch the neck of the large balloon over (usually a 3’), which I have to say was no mean feat in it’s own right, but then the fun really began, trying to inflate the 3’ balloon with a section of drain pipe at the neck of the balloon and then force pre-sized 5” inside, the problem I always had was that they kept popping out again at machine gun speed…which I have to say is the funniest thing I have ever seen! Balloon Stuffing machines are a great tool for creating insider balloons or ‘Gumballs’, which is their actual technical term, great, if you already own one to create gifts inside balloons, but pretty expensive just for stuffing balloons inside balloons. Although a great tool, it can be a little restrictive as to the actual number of balloons that you put inside, this all depends on the size of the stuffing machine and how much it opens up the big balloon and also limits you to stuffing 18” round balloons and bigger. And then there is the Conwin Insider Balloon Stuffing Tool . The Insider Stuffing Tool is an accessory that can be used with a ConwinDual Split Second Sizer or Duplicator 2 or if you don’t have either of these, the 10ft Extension Hose Inflator Insider Tool Set enables you to manually inflate and size balloons inside a balloon. Probably one of the greatest advantages of the Insider Balloon Stuffing Tool is that you are not limited to loading only one size or shape of balloon into a larger balloon. It enables you to mix and match balloon sizes and shape giving greater impact and profitability…your customer will notice the difference between a balloon company that only ever put 5” balloons inside 3’, with one that creates truly exciting insiders with many sizes and shapes! So Why Put Balloons Inside a Balloon..? To add excitement to your designs, fantastic for balloon displays, accents for bouquets of balloons, centrepieces, columns, arches and even delivery designs. For the ultimate exploding balloon, filled with heart shaped latex makes the perfect exploder for weddings, anniversaries and engagement parties. Pink Teddy Bear Design created by Sue Bowler using the Insider Tool to create the bear’s body and floating balloon, the body is air-filled and the floating balloon is helium filled see below for gas theory. This ‘Noodle’ balloon design was created by Sue Bowler using the Insider Tool with Neon 260’s with 160’s inside. Insert a 160Q inside and 260Q and knot together at the tip of the balloon and not at the opening/ inflating end. Hold the 160Q and carefully inflate only the 260Q, the tension created by the 160Q will make the 260Q balloon curl on inflation! Balloons inside a balloon are amazing, regardless of whether you have 20 or 200. OK that’s not strictly true, because a balloon that has 20 balloons in which only takes 5 minutes to fill wont look as full as a balloon that has 200 balloons inside that takes 1 hour to fill…wrong! This statement would only be true if we were inflating our balloon to the same size in both instances. However, if we use 20 balloons (9”) inflated to 7” or 8” rather than a 5” balloon inflated to 4” or 4.5” then the balloon with the 20 8” balloons inside will look very full! This is quite easy really; if you are using helium to float the outer balloon then you must use helium inside all the balloons within the balloon regardless of what shape or size these are. If put air inside the inner balloons and then fill the outer balloon with helium, the helium will absorb into the inner balloons and eventually they will start to pop! So, the rule really is always stick to the same gases…air with air and helium with helium. Once you’ve got your business up and running, it’s time to focus on an effective marketing strategy. Marketing any business is crucial to nurturing its growth and sustaining long term profits. Following the helpful tips in this article you’ll be ready to take your business to the next level. Showing pictures of what you can create is important for your client to visual the many balloon décor options for their event. Building a professional portfolio can be a time-consuming challenge. Start by building designs in your home or office. A photo taken with a high quality camera of an arch at your doorway or a set of balloon columns in your backyard will help you build your portfolio and give you hands-on experience. Important Note: Remember that images on other balloon décor sites are copy written and require written permission to use in your portfolio. Family and friends are a great way to get the word out about your blossoming business. 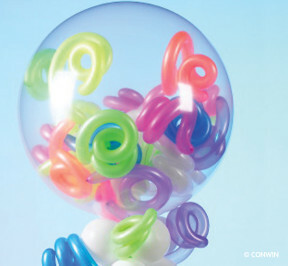 Invest in quality business cards and flyers featuring fun-filled images of your balloon décor. Spread the word through your community connections at churches, schools, country clubs, and local businesses. Let them know about all the creative décor you can create for their next special event. Never leave your home without a handful of business cards in your pocket – you never know who you’ll run into. Websites…Do I Really Need One? I would say a decorator could get by without a website and be able to invest in other marketing avenues; however nowadays, a website can prove to be a huge driving force in your business. To get started, you don’t need to invest thousands of dollars. Talk to friends and clients and let them know you are looking for help in building a website for your business. They may have contacts or even family members who would be able to design an attention grabbing site at a reasonable budget. Craigslist.com is another great way to find local web designers. This form of advertising can be a hit or miss. Look into the phone books available in your area and speak with one of their representatives. List out the pros and cons with either sticking to their free listing of your business name or upgrading to an ad on the page. Use your vehicle as a constant form of advertising. Have a design screen printed on the side or have magnetic signs made that can be used as needed. Most important thing to focus on is that your phone number is large and easy to read. The first step to making a successful cold call is targeting your call to a specific market. Making a call to a random home number is not as effective as direct a call to the event coordinator at your local country club. When calling, inform them of whom you are, what your business is and set up a convenient time to meet them and drop off a few of your brochures for when their clients are interested in balloon décor. When you stop by, bring a bouquet of balloons to leave behind with your contact information and a handful of your flyers. Make a good first impression and always thank them for their time! List your events in your next year’s calendar to make a courtesy call to see if they need of balloons again for their next party. Targeted mailings and email campaigns to your past customers with special offers and incentives can also help increase business. Another effective tool is a friendly “Thank You” letter with a self-addressed return postcard for them to fill out. Thank them for their business and ask how they enjoyed the event and your décor. Include a business card magnet in the letter as it’s guaranteed they’ll place it on their refrigerator or cabinet for the next time they need balloons. Start small and grow your advertising budget as your business grows. Also, it’s critical to track your advertising success. Always ask your customers where they found out about you every time they call. Investing in a marketing campaign and not knowing where your customers are coming in from is pointless. It’s that extra 10% of effort that will insure you maximize your marketing success and grow your business profitably. 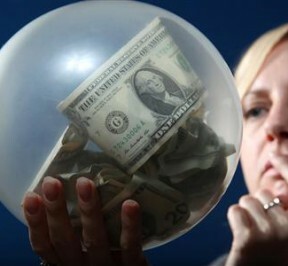 Starting a business in balloons can be profitable and extremely rewarding. For decades, balloon decorators around the world have been successful in growing an maintaining a business; giving beginners hope and assurance that a career in balloons CAN succeed! Begin with creating a checklist to help you prioritize what you need to accomplish to officially open your company. Many of these steps can be found in the next section “Following the Rules”. You’ll also need to decide on your mission and goals by developing a business plan. This is not only so you know what your objectives are but it is also an important tool if you are planning to approach investors or financial institutions to receive a loan. Click here to learn more about how to write an effective business plan, provided by the U.S. Small Business Administration. Who are you trying to sell balloons to? It’s important to know because you can’t be all things to all people and do a good job. So, when your business is getting started, narrow your focus initially and concentrate on a smaller market. Be the best you can be to one specific type of client (e.g. brides, hotels, or sales agents). Once you have mastered that market, expand into another. What balloon equipment do I need? 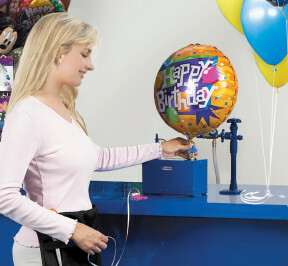 Conwin’s line of balloon inflators vary from basic regulators to automatic sizers. We also offer safety equipment, balloon accessories, special effects and educational materials to help increase your efficiency and productivity. For a beginner, the two facets you’ll need to consider first are helium inflators and air inflators. 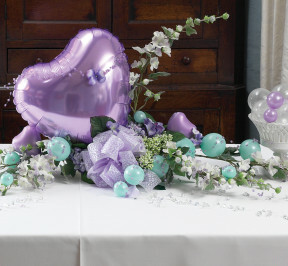 Both are crucial aspects to a balloon decorator to be able to offer a variety of decor. As most decorators begin with a low budget to start their business, the most economical, yet most efficient options were selected to the right. To view all of Conwin’s Inflators, click here. Before you begin to market yourself like a pro, you’ll need to learn how to create professional and profitable balloon décor. Fortunately, the balloon industry offers a wide variety of educational opportunities. A great place to start is to sign-up for a balloon seminar. Visit Conwin’s Educational Calendar to find a seminar near you. 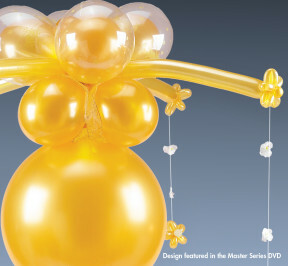 In addition to attending a seminar, a convenient and efficient way to learn the latest balloon techniques is to the Balloon Décor Master Series DVD set. This comprehensive (3 disc) program features step-by-step instructions for 15 designs. Each design is complete with material lists and balloon size settings. As an added bonus, the series includes 23 high quality 8.5” x 11” images of the designs to include in your portfolio. Another great resource is Qualatex’s QBN Bundle (3-part DVD series) which covers all the basics and business concepts. 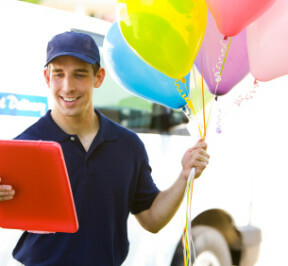 Luckily you are starting a business in an industry with a very strong balloon distributor base. Whether you are located on the east coast, mid west, west coast or even internationally, there are distributors near by you can purchase your balloons, equipment, and accessories from. Find a distributor near you through Conwin’s Distributor Network. You may need to use your home phone initially, but invest in a separate business line as soon as possible. When clients call they are looking for a professional response. Be sure anyone who answers the phone is trained to answer questions or take a message. Also, by having a dedicated phone line, it allows you to install an answering machine to intercept any calls you are unable to answer. Keep your outgoing message short, upbeat and professional. There are many advantages to owning your own business. Consult with an accountant regarding any specific regulations for your region. Your business hours don’t have to be from 9 to 5, but set aside a specific time of the day you devote to your business on a consistent basis. It may be used for design time, paperwork and bookkeeping, or prospecting new clients. And on the flip side, take a break from business after hours. Burnout comes quickly if all you ever do is work, work, work! Taking time to relax and enjoy life feeds your creativity.